World Cup champions France travel to Joachim Loew's under-pressure Germany on Thursday in an eye-catching start to the inaugural UEFA Nations League, a competition introduced to replace most international friendlies. France boss Didier Deschamps has retained the entirety of the squad that triumphed in Russia, with the exception of captain Hugo Lloris and fellow goalkeeper Steve Mandanda, both ruled out by injury. As just the third man to win the World Cup as both a player and coach, Deschamps is more aware than most of the increased exposure that comes with such success but believes it can serve his team well. 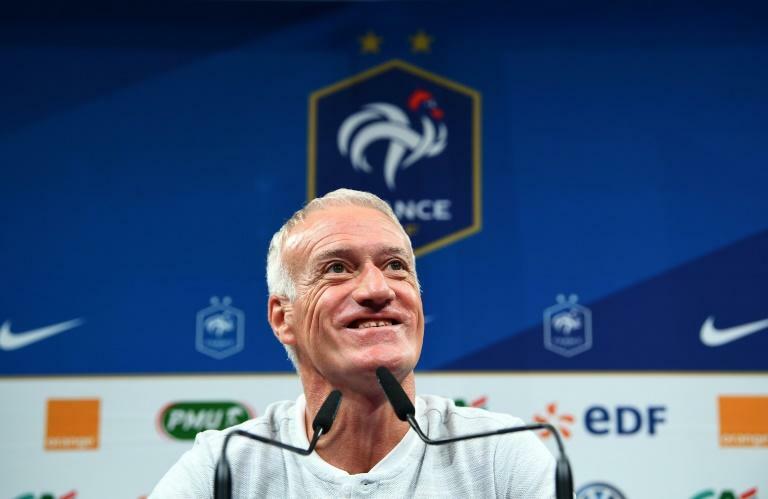 "It's a galvanising effect to have this title, in terms of confidence," Deschamps said. "This title of world champion, you have to manage it but it's not a weight or a burden to carry. It's quite the opposite." "With all the positive aspects being world champion has brought, on the sporting front but also from a human and psychological standpoint, it's a huge boost. "It won't prevent them from going through tougher times, but it's not necessarily linked to the tag of world champion," he added. Teenage star Kylian Mbappe, voted the best young player at the World Cup, was sent off for shoving an opponent after he was fouled late in Paris Saint-Germain's 4-2 win over Nimes at the weekend. The 19-year-old will discover the length of his ban following a disciplinary hearing on Wednesday, but Deschamps was reluctant to be overly critical of his young striker. "It's also human to react. He shouldn't have done it and he knows that, but I'm not going to make a big issue of it," said Deschamps, whose side then face the Netherlands on September 9. Germany, the team France succeeded as World Cup winners, have plenty to prove after a catastrophic group-stage exit that has left Loew fighting to prove he is still the right man for the job. "We are all being specially observed and put under pressure, I am aware of that," Loew, who has been in charge since 2006, said last week. "However, I am still convinced of our class and quality. The World Cup squad was very, very good, but we did not perform." Thomas Mueller, an experienced member of Germany's ill-fated squad in Russia, said the sell-out clash in Munich is the ideal opportunity to help the team move on from their World Cup debacle. "France isn't just any old team. A victory against them would be a huge step towards us getting over our huge loss this summer," said the Bayern Munich forward. Roberto Mancini will make his competitive bow as Italy coach at home to Poland on Friday as the Azzurri begin their road to redemption after failing to reach the World Cup for the first time in 60 years. But he touched upon a similar concern to England counterpart Gareth Southgate, whose side host Spain at Wembley on Saturday, as Mancini bemoaned the lack of opportunities afforded to younger players in Serie A. "There have never been fewer Italians playing the game," Mancini said. "This is a low point. "Often, the Italians on the bench can be better than those getting a start at some clubs," he suggested. "They need to be playing, especially the young ones." Southgate last week admitted the Premier League's shrinking pool of homegrown talent could force him to look outside the top flight to fill his England squad in the future. Portugal will be Italy's second Nations League opponent on September 10, although the European champions will be without Cristiano Ronaldo, who asked to be left out following his move to Juventus. Ronaldo scored at least 40 goals a season in the last eight seasons at Real Madrid but has yet to score for his new club. World Cup finalists Croatia take on Spain in Elche on September 11 in Luis Enrique's first home game in charge of the country he represented 62 times as a player.